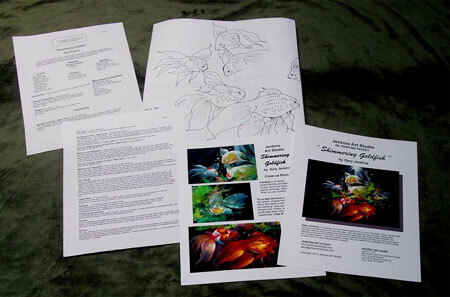 Painting Packets come with a full color photo, full color close-up photo, detailed painting instructions. Supply list, full size pattern, packaged in a clear plastic three ring sleeve. Shipping prices to United States. Click on packet picture below to place your order and see larger picture and more info.